ALICE IN WONDERLAND CAFE IN TOKYO. 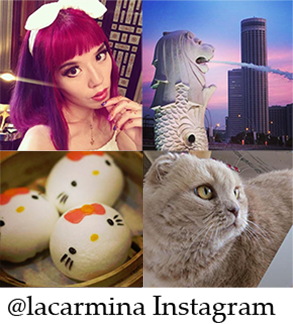 JAPANESE AMAZING THEME RESTAURANTS, CHESHIRE CAT, CUTE FOOD FROM DIAMOND DINING. 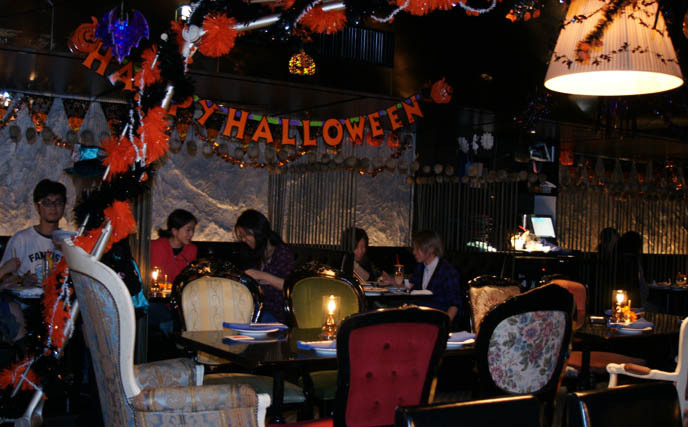 Tokyo’s Alice in Wonderland cafe remains a favorite destination for us spooky kids. There are now two locations: Ginza and Shinjuku. 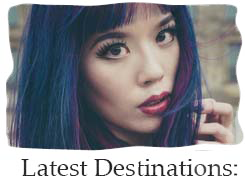 Grab a fun group, cosplay as the characters and remember to bring your camera! ** UPDATE – I filmed scenes here, for a Food Network TV show. 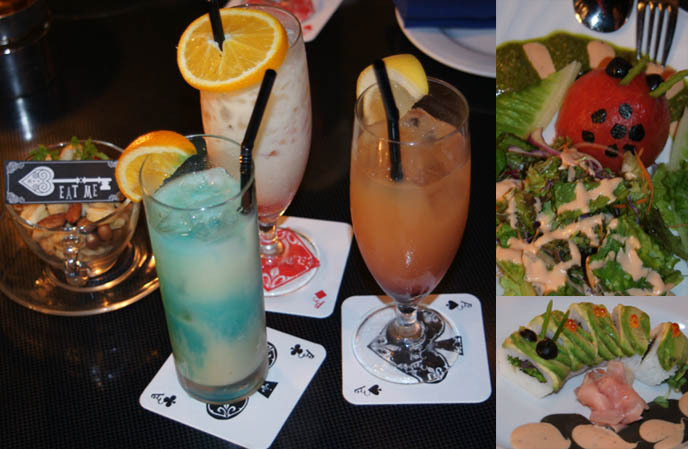 Please check out the new photos of Alice in Wonderland Restaurant in Tokyo, Japan. 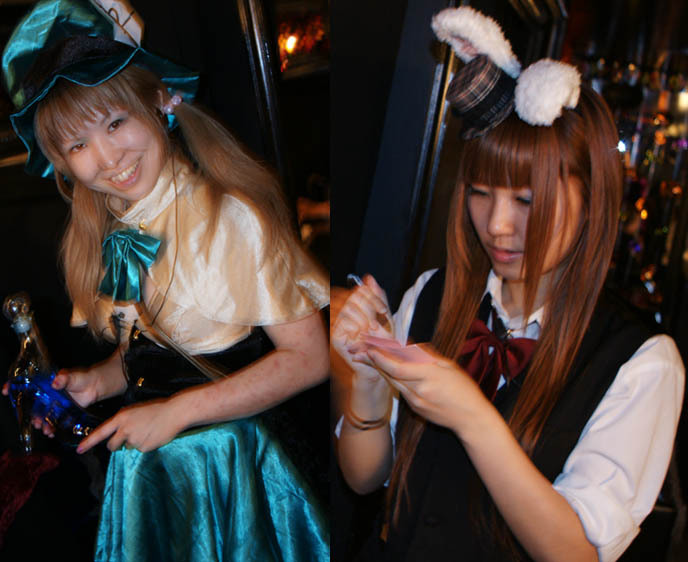 The waitresses wear Mad Hatter, Goth Alice and White Rabbit outfits — so cute. How cute is the food? The curry looks like the Cheshire Cat, with hard boiled egg eyes and an olive nose. The mis-matched Olde English chairs and lampshades are befitting of a mad tea party, ne? 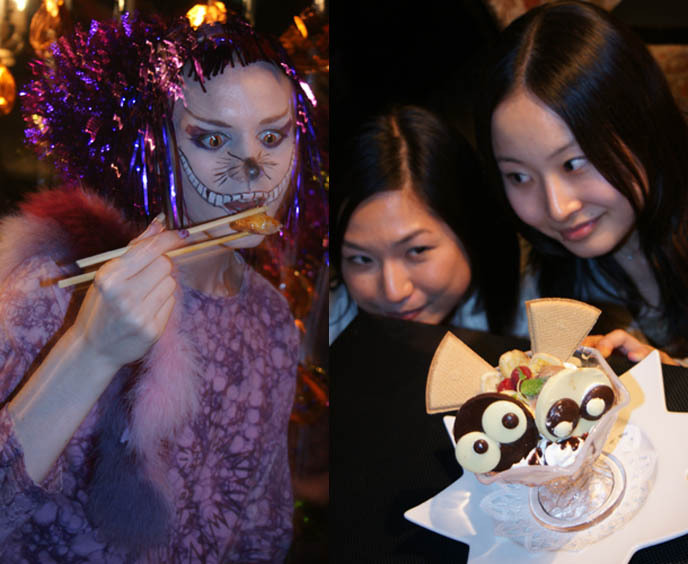 For more peeks into the wild Wonderland of Japanese theme dining, please consider my book Crazy Wacky Theme Restaurants: Tokyo (click for info). Hide your children: we’re LIVE STREAMING in a few hours!! Come chat with Tokyo spookiest spooks and Gothic Lolitas at Yukiro’s house party. We’ll be on Blog TV from around 8-11am Eastern Time; click here to see us and join the conversation! 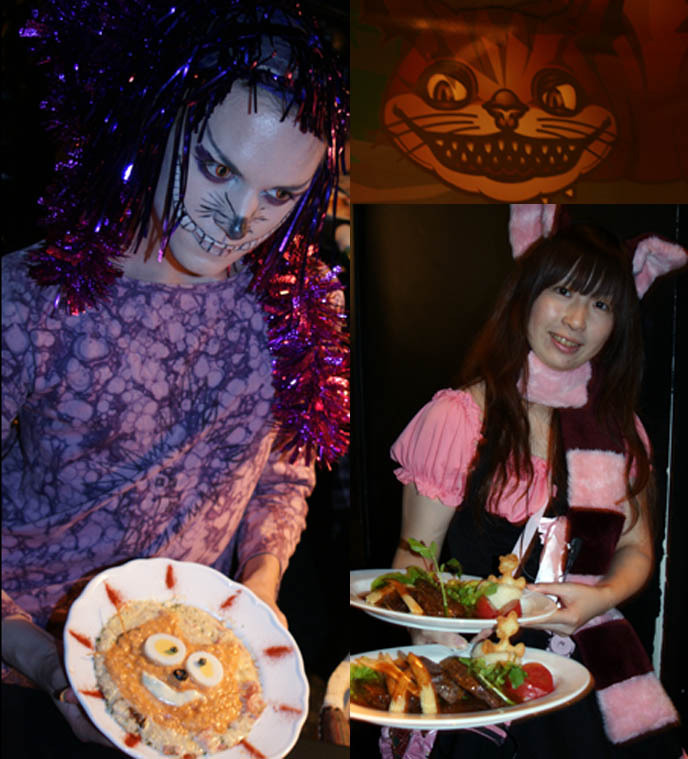 ** PS – please see new pics from Alice in Wonderland Restaurant in Japan. I wish I had your book BEFORE I went to Tokyo!!!! 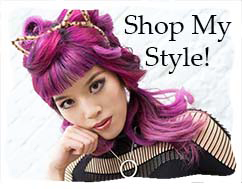 Dear friends welcome to our store: we have a specail offer now which is once you buy any product you can get a free gift as well, these gifts are in the gift area, you can free to choose and please add to the shopping cart, we will send it together with your purchased product. Thanks!